Burning Games will be bringing Dragons Conquer America, their new fantasy RPG to Kickstarter on November 1st. In the meantime, to get gamers informed about the world and excited to see more, they have posted up an introductory adventure, titled The Coatli Stone. You can think of it as Chapter 0 (they also call it that, so there you are). It's free to download, so why not check it out? "A map, tattooed on a piece of old skin, has been found by your group's leader. It points towards the Coatli Stone, a mysterious artifact that is said to procure incommensurable power to whoever owns it. You have seen the map with your own eyes, and have a good idea where it leads to. The temptation to go rogue is strong... and you succumb to it. Will you and your partners in crime reach the Temple where the Coatli Stone is held and get hold of it before your bosses' army finds out about the treason?" What is Dragons Conquer America - Episode 0: The Coatli Stone? The Coatli Stone is the file you are about to download. 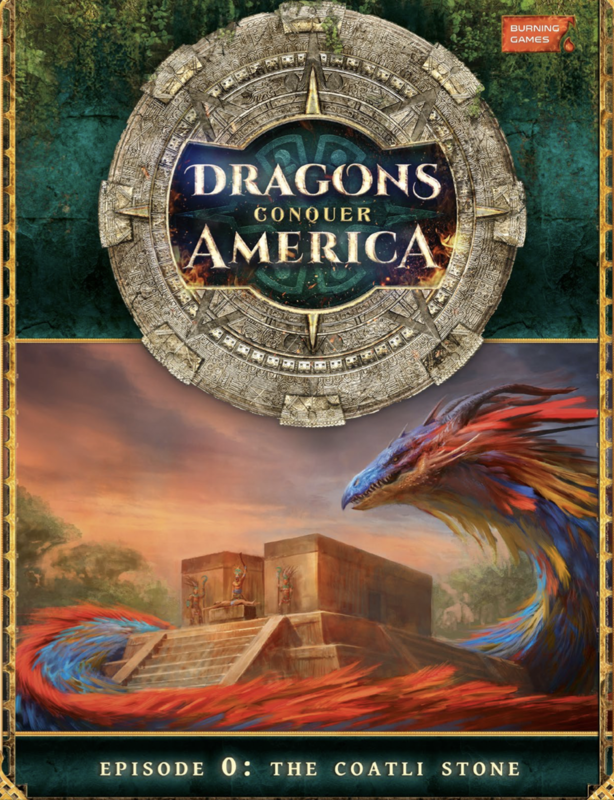 It’s a free introductory package for Dragons Conquer America, a new setting we have created. This episode will serve as a prologue to the setting and as a way for us to playtest the mechanics. It is also a way to raise awareness of our upcoming Kickstarter campaign that will fund the Episodes I & II of Dragons Conquer America, two full blown campaigns that will shape the future of the setting.